There are a wide variety of options to earn money online. Before I am able to give you any guidance, it would truly depend upon the type of work you are capable of, or willing to do. If you want to make money, all you need is yourself, a computer and a very good internet connection (buy one if you don’t have!). You also might need a cup of coffee or whatever you like to drink, so that you can relax on your sofa and start making money online. It doesn’t matter if you have a white collar job or you are into business, a little extra cash added to the lot you already have won’t be bad. Would it? Jumia is on-hand to give you an insight on how you can make an easy living. Affiliate partners can promote the products on Jumia and can get up to 11% commission on every successful order made a click via your affiliate link. You can make easy money online if you own a website, blog or just any useful social media account (e.g. Facebook, Twitter, Google+ etc). But first, you need to sign up for the affiliate program, find products you know people really want or the products you know your website/blog readers want or the product your social media networks need. Promote the products, get people to through your link, track your sales and earn commissions. How easy can money making get! You can also use the appropriate banners from the Jumia Nigeria’s advert media via your affiliate account. Choose the banners that is according to your target audience from the various product banners. The good thing is that you can be upgraded to a premium affiliate and earn more depending on how well you promote Jumia. Regular promotions to targeted audience means more money for you. If you have your own products and services to sell, you can easily sell them. Jumia will allow you to list your products for sale as long as you want to sell your genuine products online. To get started, you will be required to go to the Jumia Seller registration page and sign up. 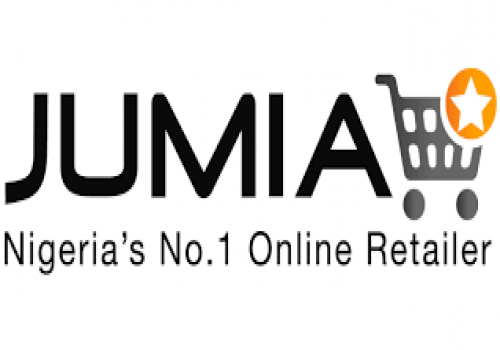 After signing up, you will be able to upload your own products to sell on Jumia Nigeria. You can always contact Jumia’s Partner Support via 0700 6000 000 throughout the entire process in case you require assistance. Sign up with Jumia Nigeria as a seller today. Thank you so much for taking a Tour on this post (How to Make Good Money From Jumia) we have take time to officially dish out Top Information and Now it’s turn to show us a little gratitude. Help us spread the information by making use of the sharing button Below, and don’t forget to subscribe to get great News and other Information, we wish you success in all your endeavors…Stick around for more Info.